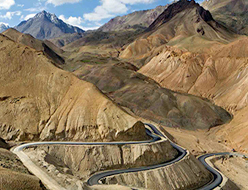 Sham Valley to Kargil via Batalik. After breakfast, drive to Kargil, enroute, visit Dha-Hanu. 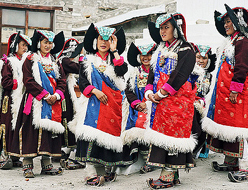 The people who inhabit this area are considered as last race of Indo Aryans, not only their attire is highly decorated with jewelry and flowers, their features are also quite distinct. We also visit Batalik, one of the most famous war front zones fought by the Indian soldiers in 1999 with Pakistan. 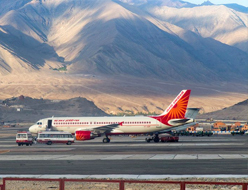 Arrive in Kargil by evening, enjoy the evening at leisure. 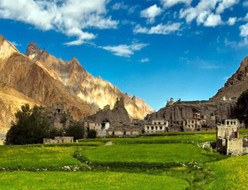 O/N Kargil. 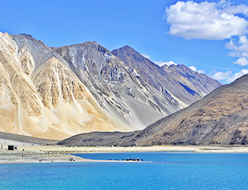 Kargil to Leh via Lamayuru. 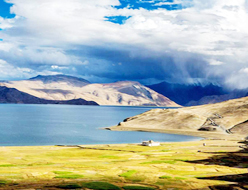 Hunder - Tyakshi – Hunder. 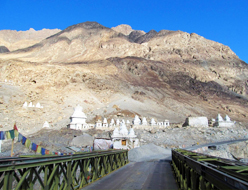 After breakfast drive to Turtuk (which is first time opened for the tourist since 2010) this village was captured by Indians Army in war of 1972 with Pakistan, enroute visit Tyakshi(it is the border which divides India and Pakistan) O/N Nubra Valley. 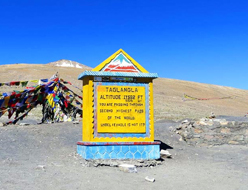 Morning after breakfast drive to Hanle, by crossing Chushul Village, Tsaga La (15,200 Ft) enjoy the drive upto Hanle, is home to the Indian Astronomical Observatory. 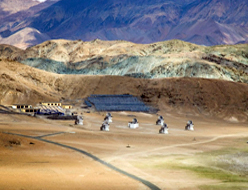 The location of the village and the observatory are highly sensitive due to the close proximity of the Tibetan / Chinese border, India set up the Himalayan Chandra Telescope, a 2m gamma ray telescope. Once complete the Major Atmospheric Cerenkov Experiment Telescope gamma ray telescope under construction there will be the world's largest telescope at the highest altitude and the second largest gamma ray telescope in the world. 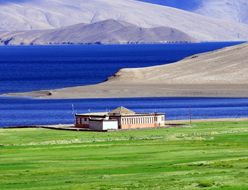 As per history, it is believed that King Singge Namgyal died here at Hanle while on his return from an expedition Mongols. Enjoy the stay with locals at local guest house. O/N Hanle. Morning after breakfast drive to Tsomoriri Lake by enroute Ya Ya Tso (Lake) by crossing Nurpa Pass (16,100 Ft) later drive to Tsomoriri Lake, by crossing Mahe Bridge. Arrival at Korzok by late noon. Evening take a walk around the Lake to enjoy the scenic beauty. O/N Korzok. 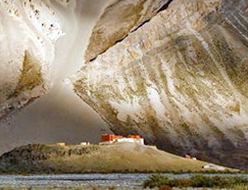 Tsomoriri – Tsokar - Taglangla – Leh.